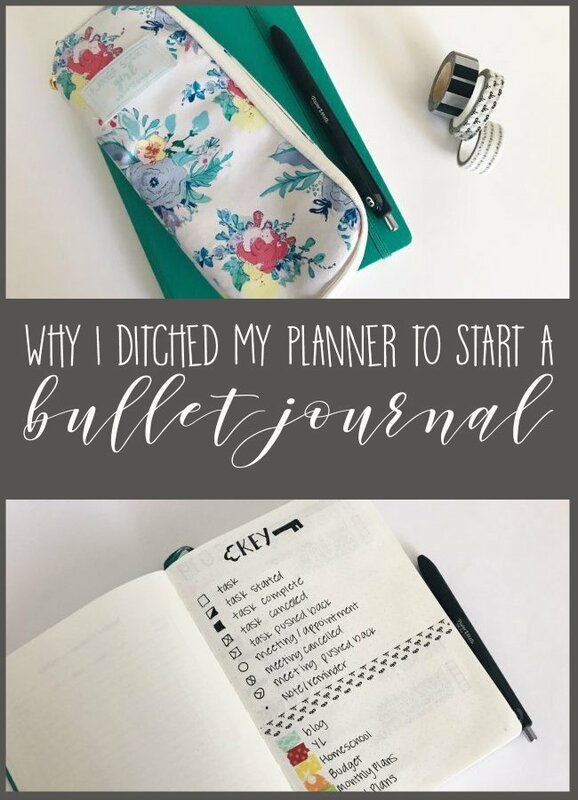 As a huge planner and productivity nerd, the idea of a bullet journal has appealed to me for several years. I’ve even used one off and on for a few years now alongside my planner. I wasn’t quite ready to ditch my planner, though, so I always ended up with a glorified journal. This year, I’m finally making the switch. I’m ditching my planner and giving the bullet journal a real shot. My biggest reason for not using one was the amount of time (and talent) it would take to draw each spread. After some research, I realized that’s just not necessary! There are a lot of beautiful, minimal spreads that have given me the confidence and inspiration to give this a real shot. For the last 6 months or so, I haven’t gotten much use out of my planner. The system that had worked for me for 2+ years was just no longer efficient. I found myself struggling to keep up with it because it no longer fit my needs. I need something simpler, but still highly customizable. Something that gives me plenty of space to keep up with important information without a bunch of useless trackers. (I love the idea, but I just won’t use them). There are a lot of reasons the bullet journal is the ideal system for me. I can make my bullet journal do whatever I want it to do. Want all of the monthly spreads together in the front of the book? You got it. 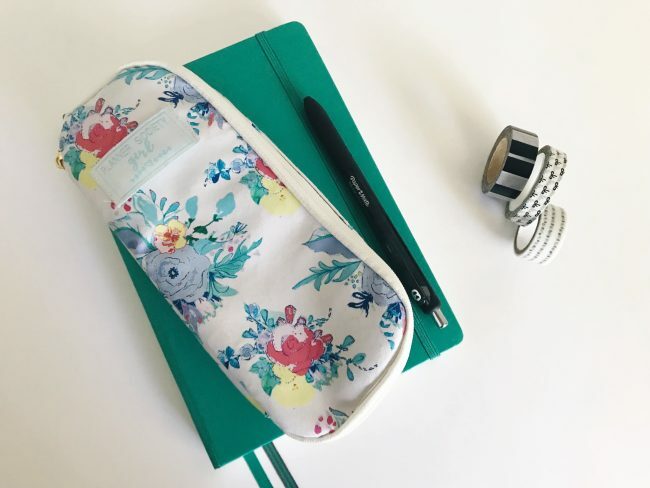 Need to write some to-do lists or notes? Just flip to the next page. 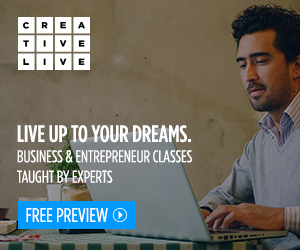 The layout is truly customizable. I have a lot of responsibilities to track. 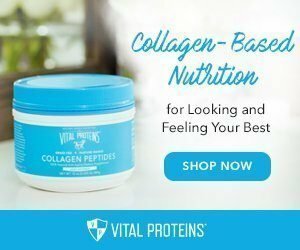 Between my blog, my YL business, homeschooling the kids, and keeping up with our meal plan and household budget, there’s a lot to write down. In every planner I’ve ever owned, I’d end up frustrated at not having something I need. With a bullet journal, I can make a page for everything! Not only that, but I can change it every week (or even every day!) if needed. I’m a list-maker. I write a lot of lists, and they don’t always fit into those little planner spaces. Using a bullet journal gives me plenty of space to keep up with these lists and keep track of where they are. I did a lot of searching on Pinterest before deciding what I really wanted to do in my journal. I love the pretty spreads, but I just know I won’t keep up with it. What I ended up really drawn to are the minimalist spreads with just a little bit of flair. A simple hand-lettered title, small doodle, or pretty borders are all things I can handle without stressing. If you want to see some of the spreads that have inspired me, you can check out my Bullet Journal Pinterest board! 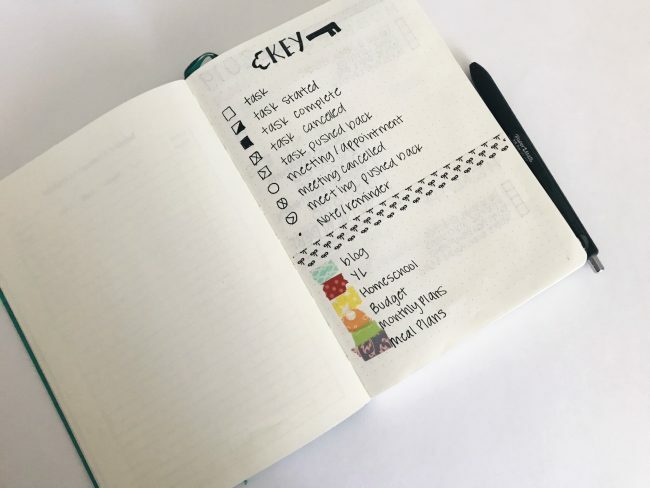 Since I’ve been stalking bullet journalers on Instagram for a couple of years now, I already knew that I wanted the Leuchtturm 1917 dotted journal. It’s been highly recommended, and while there’s a little shadowing, it’s not nearly as bad as others I’ve seen. Plus, It was pretty affordable. At least, when you compare it to other planning systems it is! It recently came in, and I’ve been getting it ready to start off the new year! A key page: This includes a list of symbols I think I’ll need, along with some washi samples so I can add those to the edge of my page to track specific topics. 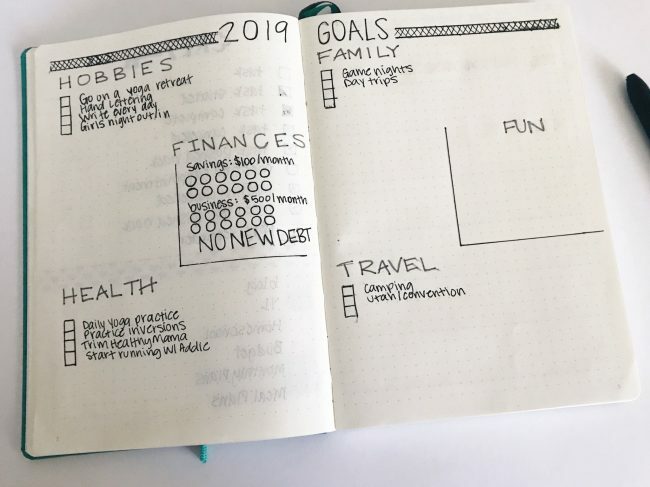 My 2019 Goals: This is a 2 page spread that includes sections for hobbies, finances, health, family, fun, and travel. My 2019 Word of the Year: This is something I started last year, and I’m excited to keep it up! I’m still deciding what my “word” will be, though. Last year it was “grow.” I’m leaning towards “flourish” this year. What do you think? 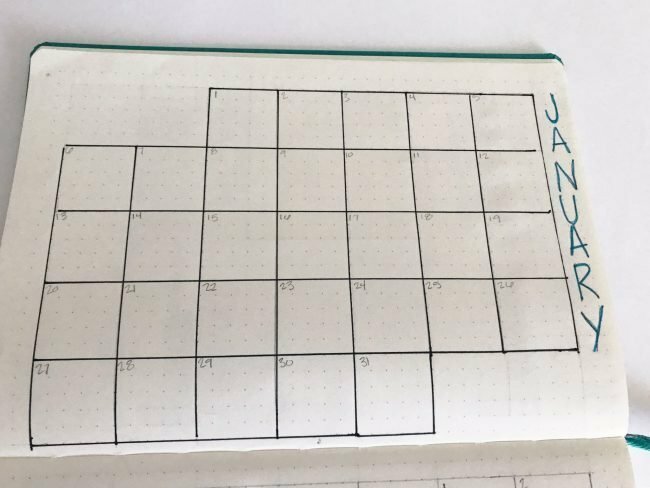 Most bullet journal tutorials tell you to add in a “plan ahead” section in your journal. I don’t want to. It won’t get used, and my brain doesn’t work that way. So, I’m not adding it! That’s a big part of what appealed to me about this system. I really love that I have total control over what ends up in this book. Instead of a plan ahead section, I decided to draw in all of my monthly spreads at the beginning of the journal. This way I have plenty of space to write in my plans ahead of time, without needing an extra page full of dates. Weekly spreads, although I’ll fill those in as I go, because I know sometimes I’ll want more room and want daily pages in between. 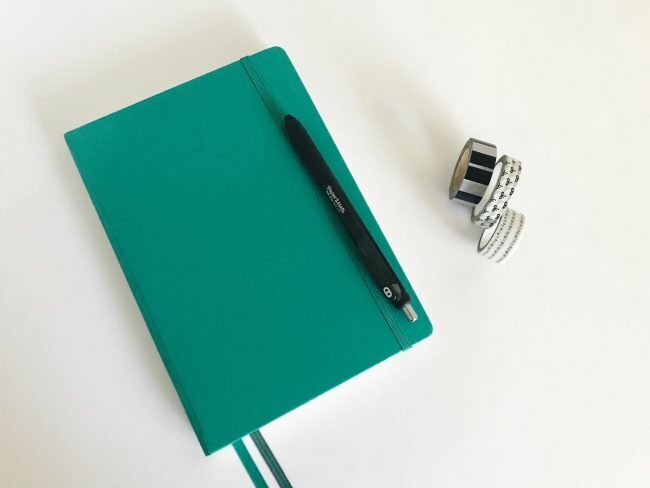 Here are some of the supplies I’ve found helpful as I set up my bullet journal. Of course, you can easily do this with nothing but a dot or grid journal and simple pens. These are just some supplies I had on hand already that have been helpful for making a prettier journal! Stencils (like these) to add a little flourish and design to your pages. I love that there are so many ways to stay productive and on task, whether you’re a planner nerd or a bullet journal junkie. Or are you an electronic planner all the way? Hopefully, you’ve already found the system that works for you. If not, I hope this post inspired you to try something new this year! Did you find this post helpful? Be sure to sign up for my newsletter! You can do that right here. 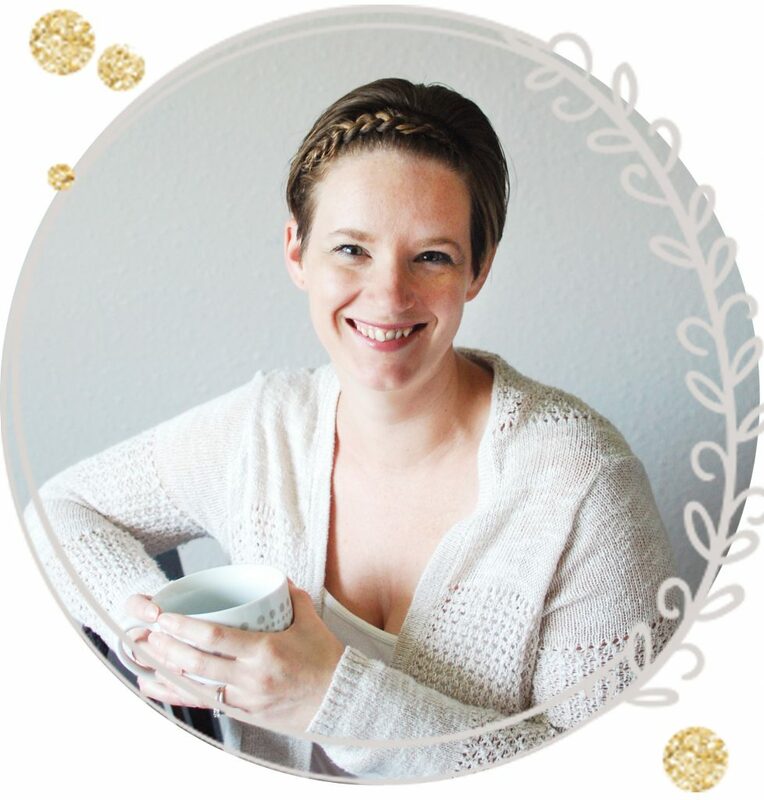 Not only will you get exclusive content just like this sent right to your inbox, but you’ll also get access to my FREE resource library full of planner printables and productivity resources!